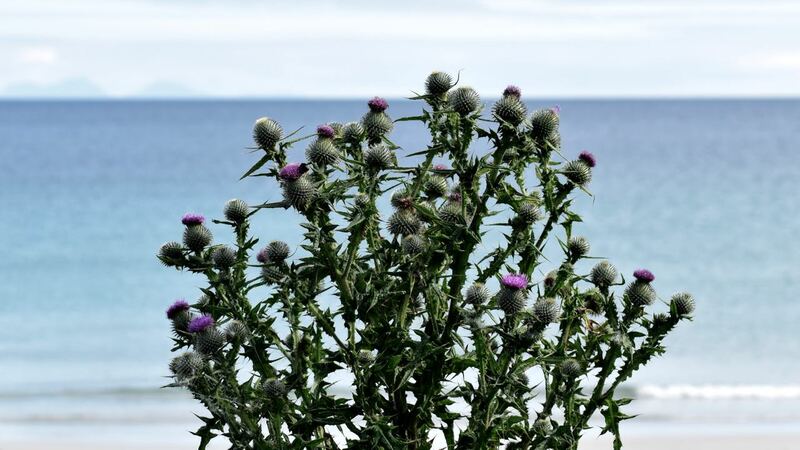 Thursday was the day Tiree turned blue. The sun shone and the land and seascape was transformed. Blue can be a cold colour but on that particular day it was was warm and bright. In the clear blue sky the neighbouring islands stand out clear. Any clouds are light and only add to the drama. It is a great day for a walk back from Baugh. Across the water known as the Passage of Tiree are the Treshnish Isles. They are an archipelago of small islands and skerries. 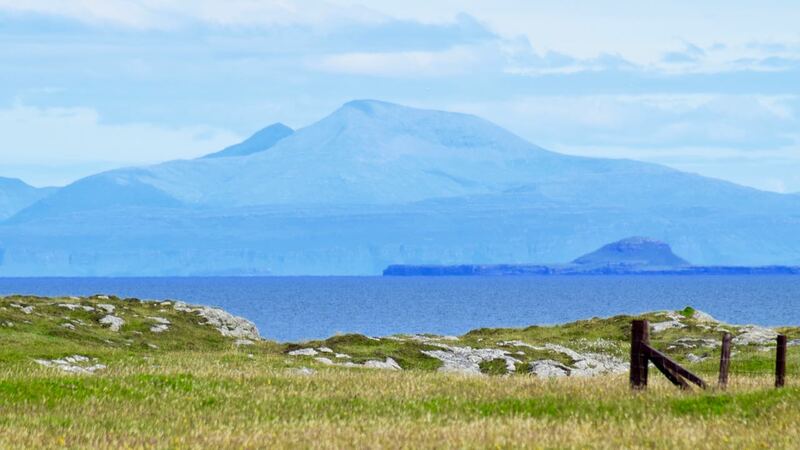 They lie west of Mull in the Inner Hebrides. 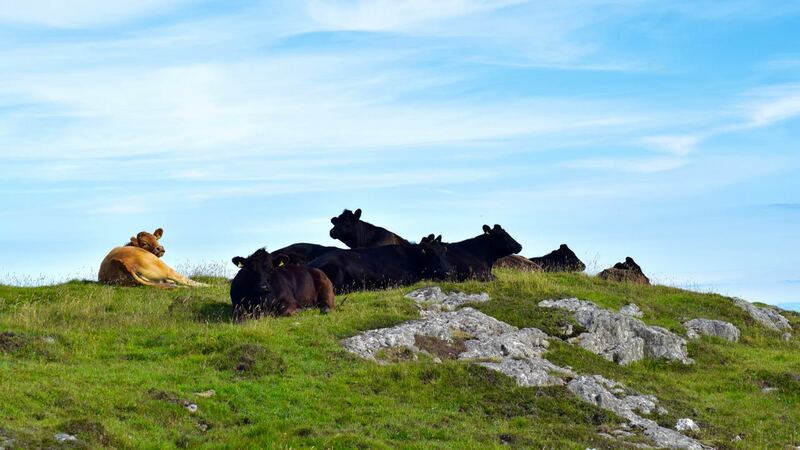 In the warm sunshine the cattle rested and ruminated. While we walk they quietly rest. What a view they enjoy. How many different shades of blue can be found in the Creator’s palette. 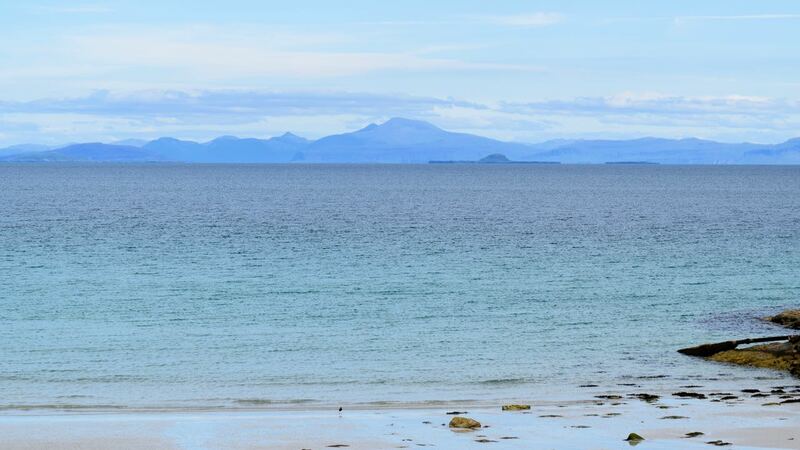 The sky and the sea that surround Tiree have so many different hues. Look out! Look upward! It’s Tiree blue! From Baugh we pass through the crofting township of Hennish. No where are we really far from these blue waters. At Scarinish we are right by the sea. The Old Harbour in Scarinish stands in need of urgent repair. The creels and ancient crane/winch are a welcome addition. 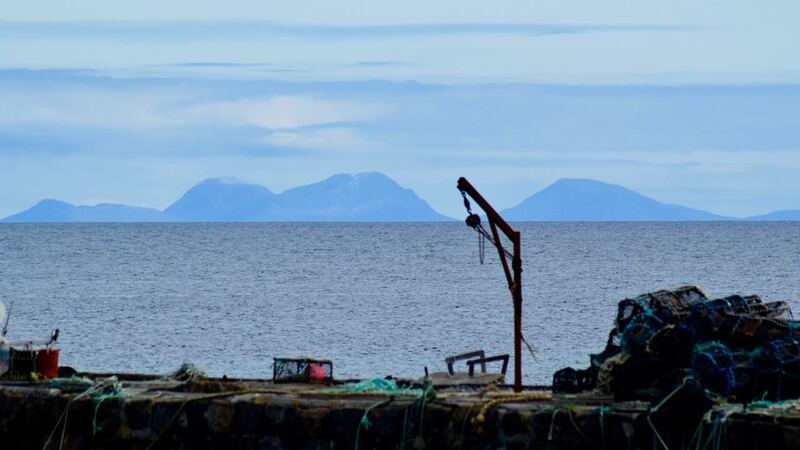 Fifty miles to the south stand the Paps of Jura. Yet they can appear so close. 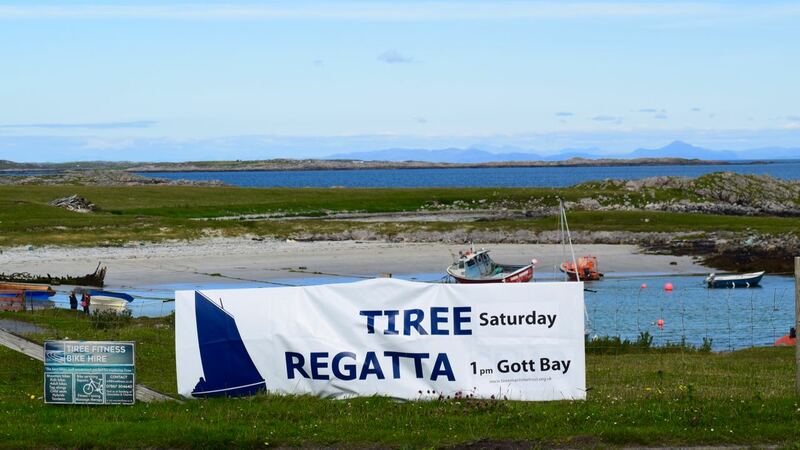 A change of venue for the popular Regatta. With the benefit of hindsight they chose a great day. For Saturday dawned bright and blue with just enough of a breeze. 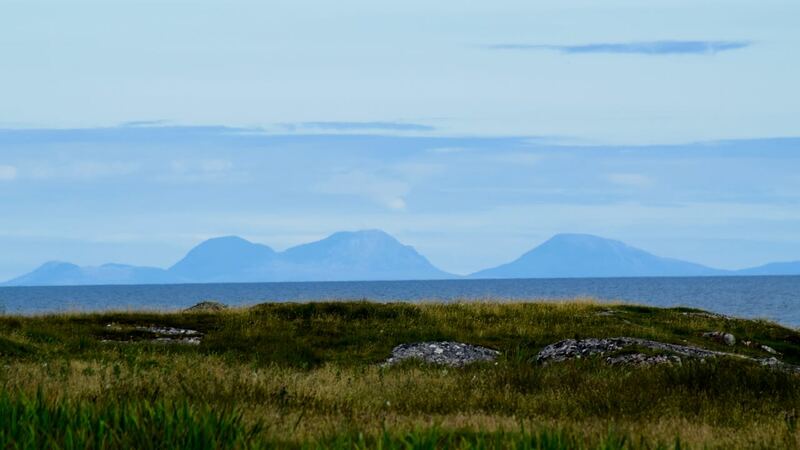 This is the Life – ‘Life on Blue Tiree’.